Milner Ball, a professor, has characterized property ownership as “the apparatus of bulwark law.” This Article argues that that characterization was premature. The Author suggests that the bulwark-like difficulties in property law are less the essence of ownership than a perversion of ownership. 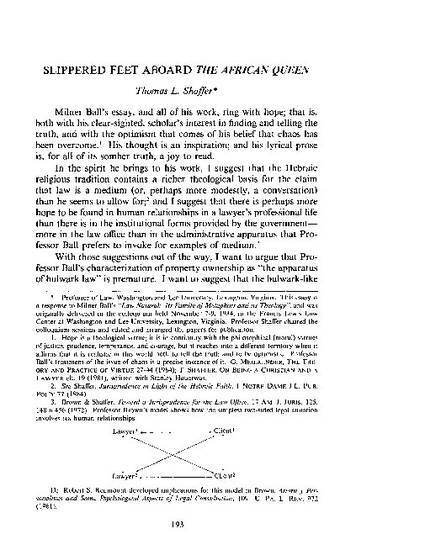 Reprinted with permission of Journal of Law and Religion.